Home window tinting is popular in Houston because of our heat intense climate. 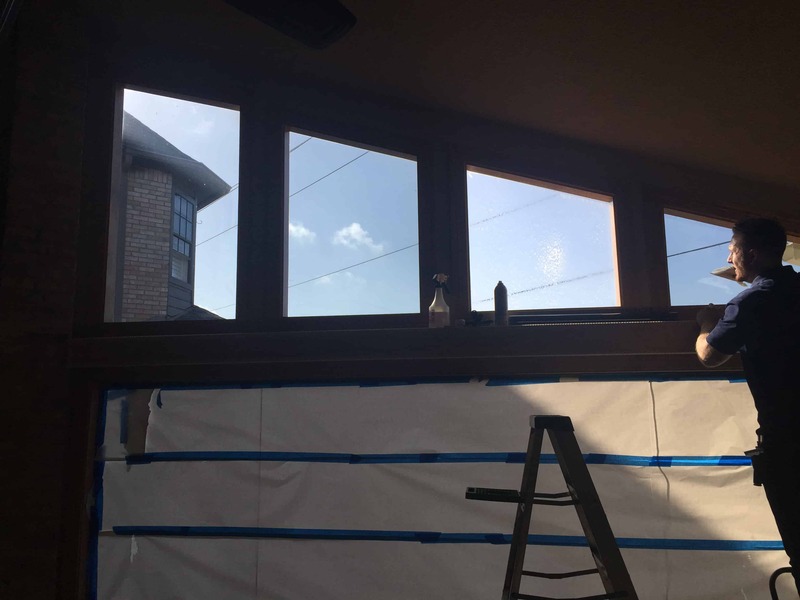 Skylight Window Films just installed some spectrally selective window film for a customer in Sugar Land, TX. 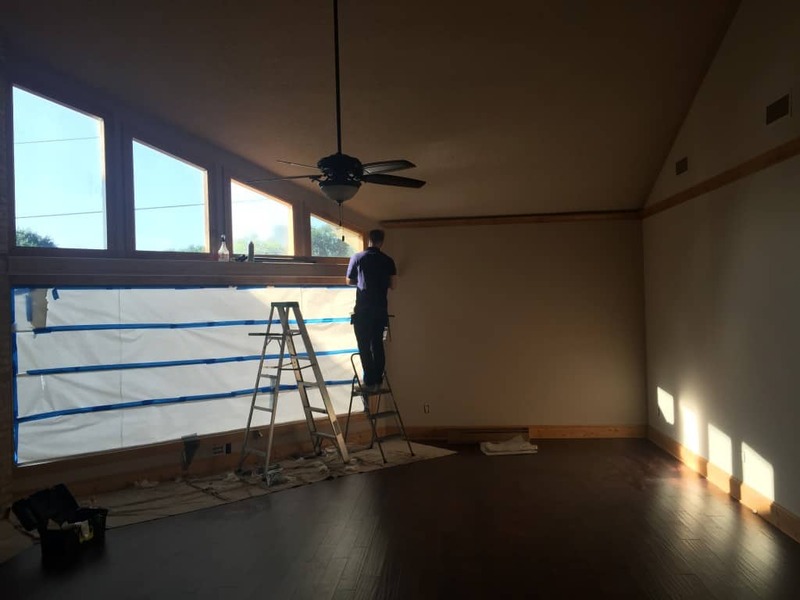 The customer wanted to use window film to protect their beautiful, new wood floors. Good choice! Our films block out 99.9% UV, and depending on your film selection, can reject up to as much as 84% heat. This particular customer chose our Ultra Vision Designer Series 40, which is a non-reflective, spectrally selective window film perfect for residential applications. This film blocks out 60% heat and 99% UV, all while allowing plenty of visible light to pass through. The customer loved how clean the installation was, and now, they don’t have to worry about their brand new wood floors fading! Mission accomplished! In the picture to the right, you can see Nick as he checks for any last touch-ups before moving to the next window. All windows have film in this picture except the third one from the left. In the picture below, you can see how the film makes a difference in controlling the intensity of the light that comes through. Can you tell which one doesn’t have film? Hint: look at the light on the righthand side wall. los que tenemos en el top. Keep up the fantastic piece of work, I read few posts on this website and I conceive that your web blog is very interesting and has got lots of fantastic info . Really nice design and wonderful content , nothing else we need : D.
I was looking at some of your posts on this website and I think this site is very instructive! Continue posting. I really like the helpful information you provide inside your articles. regularly. I am just quite certain I will learn a lot of new stuff on this site! I simply want to mention I am very new to blogging and absolutely loved your website. Very likely I’m going to bookmark your blog post . You absolutely come with really good well written articles. Thanks a lot for sharing with us your website.